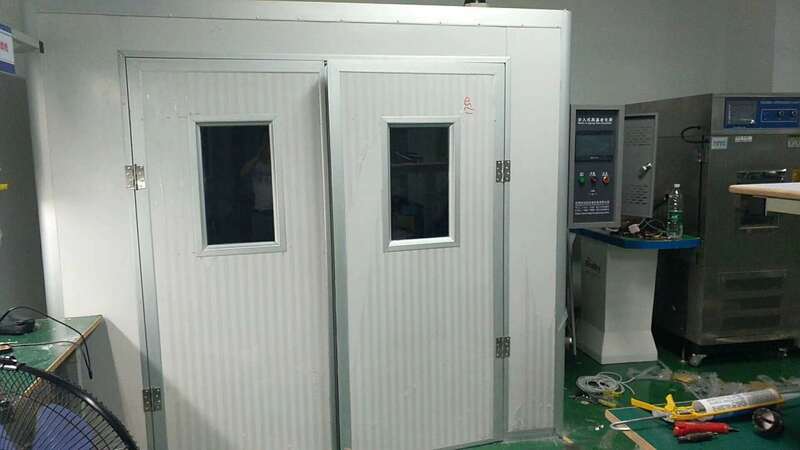 Boom season - July, we finished 3 walk-in chamber in 6 days, test chamber, climate chamber, test chamber. 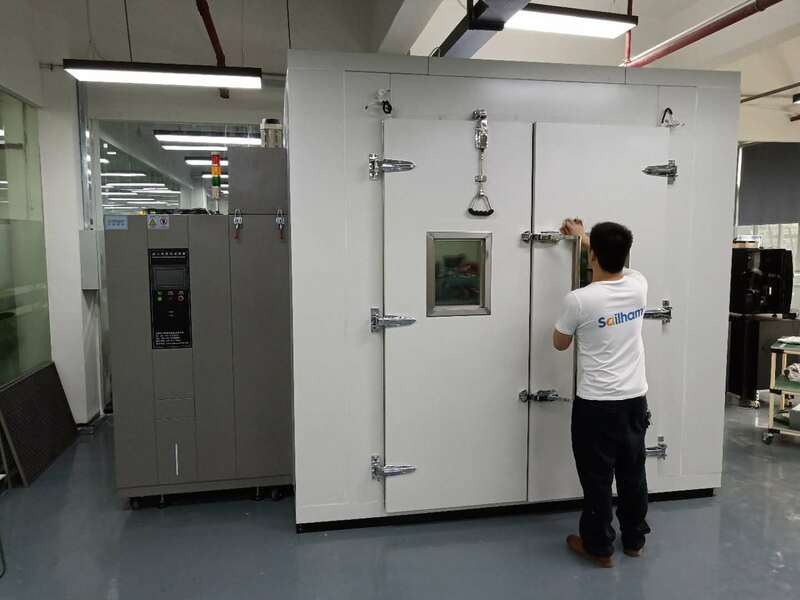 In order to ensure the test chamber cooling rate and minimum temperature requirements, Sailham adopts a set of imported semi-enclosed Germany GEA compressors composed of binary cascade water-cooled refrigeration system for the walk-in test chamber, which comprises a high temperature refrigeration cycle and a low temperature refrigeration cycle. The connecting container is an evaporation condenser, and the evaporation condenser also has an function of energy transfer. 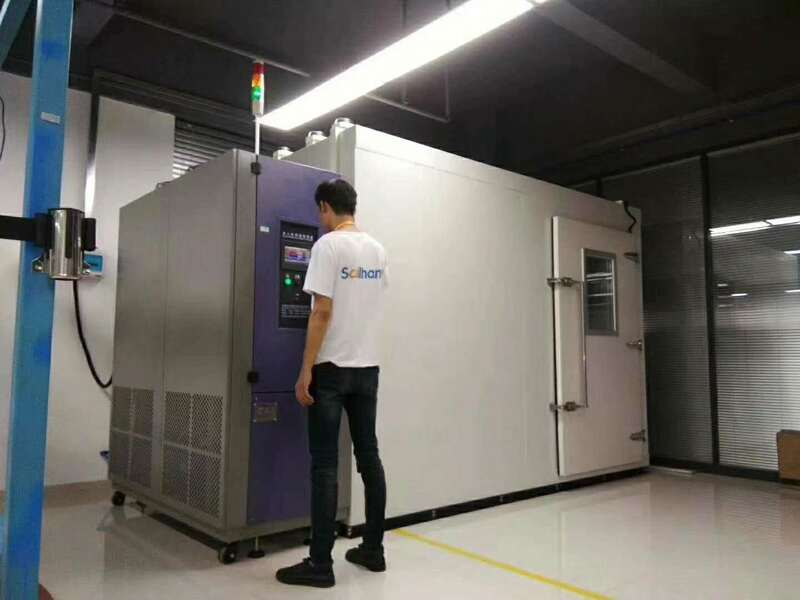 The heat energy in the working chamber is transmitted through the two-stage refrigeration system to achieve the purpose of long-range temperature. Cooling system design and application of energy regulation technology, an effective approach to both ensure that the normal operation of the refrigeration unit in the case of the cooling system while the energy consumption and cooling capacity can be effectively adjusted so that the cooling system operating costs And the failure rate dropped to a more economical state. 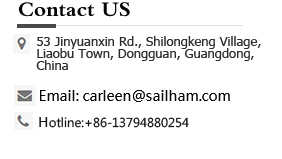 For more information, refer to sailham climate chamber. Copyright @ 2003 Sailham All Rights Reserved.